Great location, close to dining, access to both east and west Lethbridge. The rooms clean, comfortable and everything we needed while we visited Lethbridge. Lethbridge is a pleasant city between Calgary and Waterton Lakes National Park. Lethbridge!The location was good in relation to the venue/event I was attending. 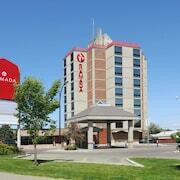 Located on a main road in Lethbridge with easy access to stores, restaurants, and activities. i like the convience , location, the staff in the hotel. 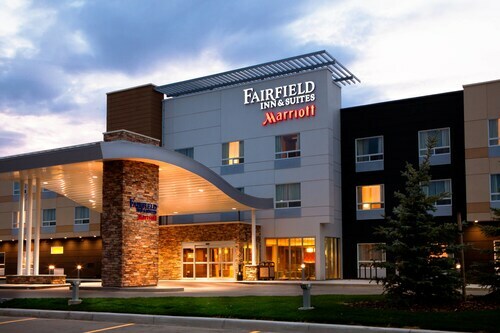 Where to find Lethbridge hotels near an airport? Where can I find hotels in Lethbridge that are near tourist attractions? 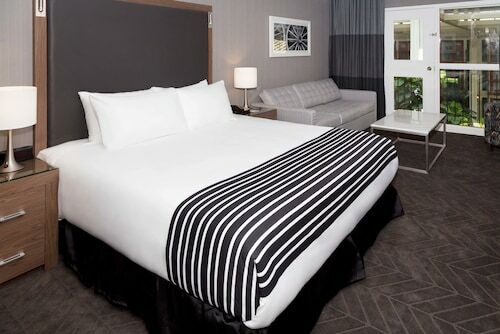 If you are planning to stay in the Southern Alberta region and you're looking for Lethbridge hotels, you'll find an extensive assortment to select from. Expedia has at least 24 places to lay your head within 0.1 kilometres (0.06 miles) of the center of Lethbridge. 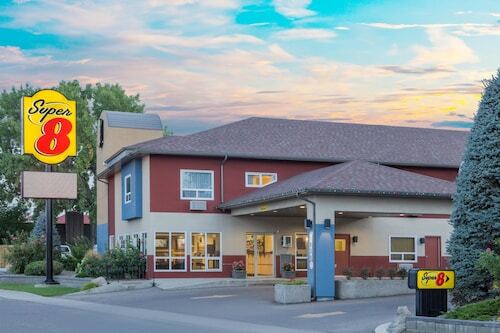 You will find Holiday Inn Express & Suites Lethbridge and Quality Inn And Suites Lethbridge within 3 kilometres (2 miles) of central Lethbridge. 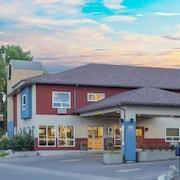 The Bluebird Motel is one of a limited number of more economical accommodation in Lethbridge. 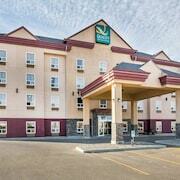 The Holiday Inn Lethbridge can be found 2 kilometres (1 mile) from the main part of Lethbridge. Another accommodation option is the Hampton Inn & Suites by Hilton Lethbridge, which is located 4 kilometres (2 miles) away. The Coast Lethbridge Hotel & Conference Centre and also the Comfort Inn Lethbridge are alternative accommodation options around Lethbridge. The larger Southern Alberta region is certainly worth exploring as well. Spend time at Southern Alberta's old towns and art museums. Those with a hankering for fresh air and wide open spaces should also make the time to admire its rivers, streams and lakes. Fun-loving travelers might try their hand at snowboarding in this part of Canada. Claresholm is 65 kilometres (41 miles) to the northwest of Lethbridge and is home to the Appaloosa Horse Club of Canada Museum and Claresholm Museum. 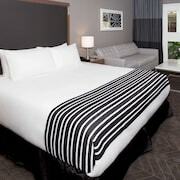 Claresholm hotel options are the Motel 6 Claresholm Ab and Lazy J Motel. 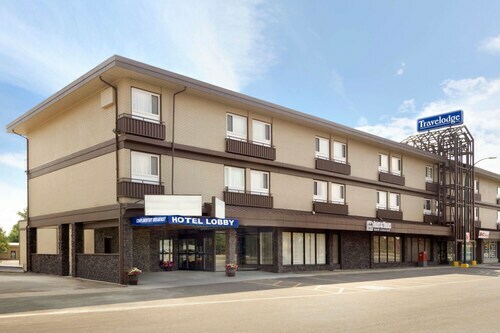 50 kilometres (31 miles) to the east of Lethbridge, you may also choose to stay at Taber, home to the Heritage Inn Hotel & Convention Centre Taber and Super 8 Taber AB. The Taber Golf Club and Taber Community Centre are a couple of the popular attractions to see for those visiting Taber. If you are really into sports and love watching games you could make a trip to Spitz Stadium, which is 2 kilometres (1 mile) to the northeast of Lethbridge. 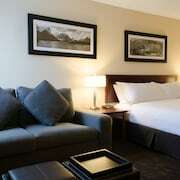 Book accommodation right near the action at the Lethbridge Lodge or the Sandman Hotel Lethbridge. For travelers planning on arriving or departing through Lethbridge County Airport, you may plan to book some accommodation at Premier Inn And Suites, or Paradise Canyon Golf Resort, both of which are a short distance away. 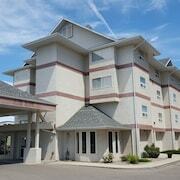 What are the most popular Lethbridge hotels? 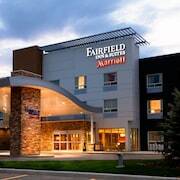 Are there hotels in other cities near Lethbridge? What other types of accommodations are available in Lethbridge? Explore Lethbridge with Expedia.ca’s Travel Guides to find the best flights, cars, holiday packages and more! Flights from Victoria Intl. to Memphis Intl. Flights from Victoria Intl. to Chhatrapati Shivaji Intl. Flights from Pearson Intl. to Fransicso Sarabia Intl. Flights from Pearson Intl. to Scranton Intl. Flights from Pearson Intl. to JAGS McCartney Intl. Flights from Pearson Intl. to Palanga Intl. Flights from Pearson Intl. to Carlos Rovirosa Perez Intl. Flights from Pearson Intl. to Malvinas Argentinas Intl.